Lucknow: Uttar Pradesh Chief Minister Yogi Adityanath Tuesday visited the Hanuman Setu Temple here and offered prayers, a day after the Election Commission imposed a nationwide campaign ban on him for 72 hours for his "provocative" communal remarks. Adityanath took part in 'puja' and after spending about 20 minutes in the temple, he left without taking any question from the media. 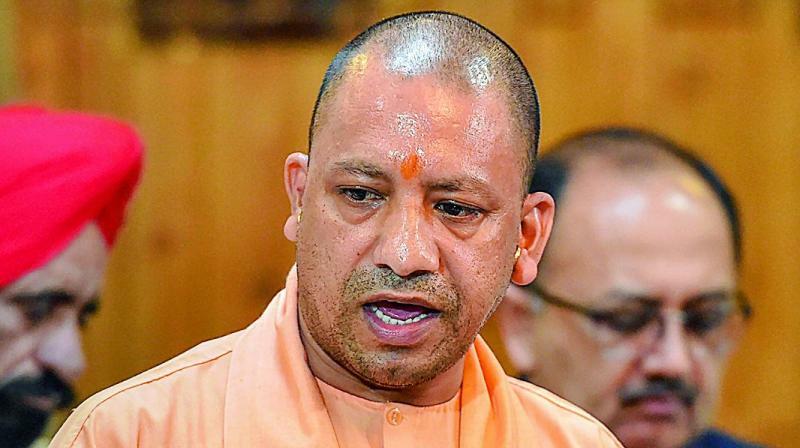 The Election Commission on Monday imposed a nationwide campaign ban on Adityanath for 72 hours for his speech at a rally in Meerut, where he compared the Lok Sabha elections to a contest between 'Ali', a revered figure in Islam, and 'Bajrang Bali', a name for Hindu god Hanuman. Following the EC orders, the chief minister will also not participate in the road show of Home Minister Rajnath Singh who will file his nomination papers Tuesday.